I am trying to find similar data over a much longer period of time. Over the last 3000 years would be ideal! Of course, I realize that such data might result from very rough estimations and might eventually be specific to a certain area of the world and arguably not representative. Where could I find similar data over a much longer period of time? Browse other questions tagged military war economy or ask your own question. 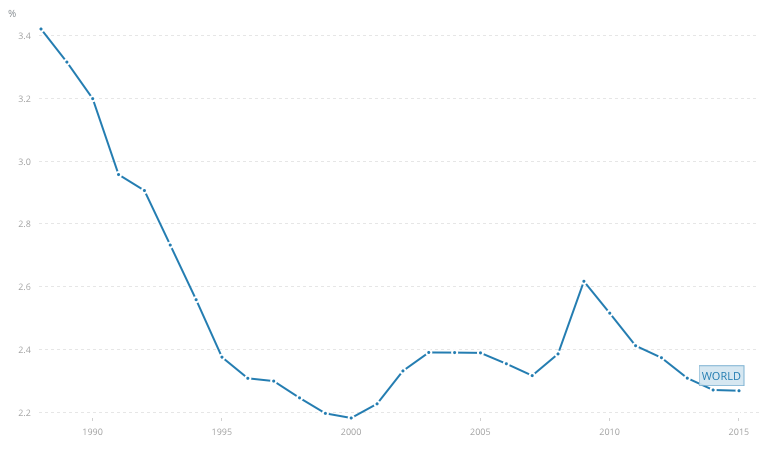 Why was the Russian Federation Military expenditure cut in 1998-1999?